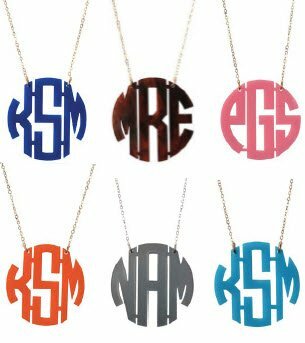 I think some monogrammed pieces are nice and add a sweet personalized touch. 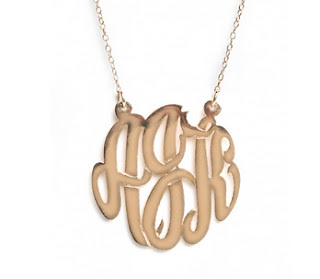 Like on a cute necklace or on the cuff of a dress shirt. 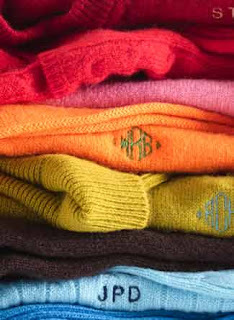 JCrew is offering to monogram sweaters and button up shirts in a couple different font styles that would look very sharp this winter season. 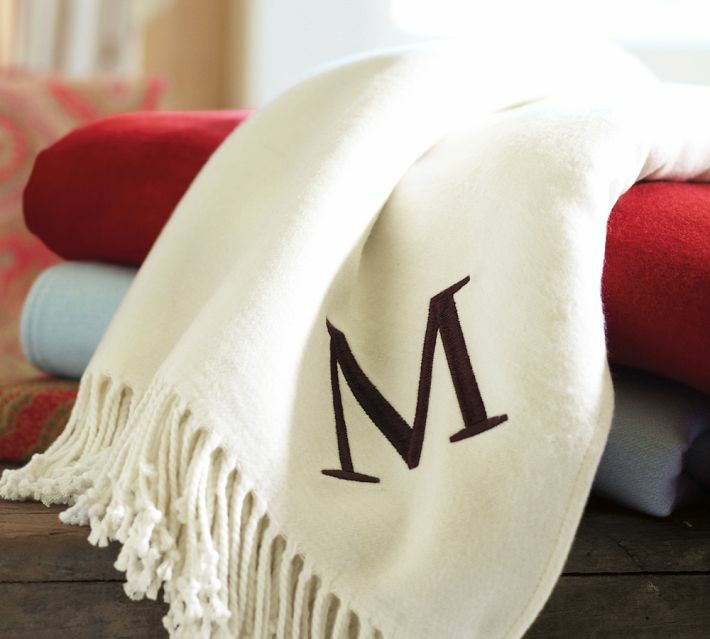 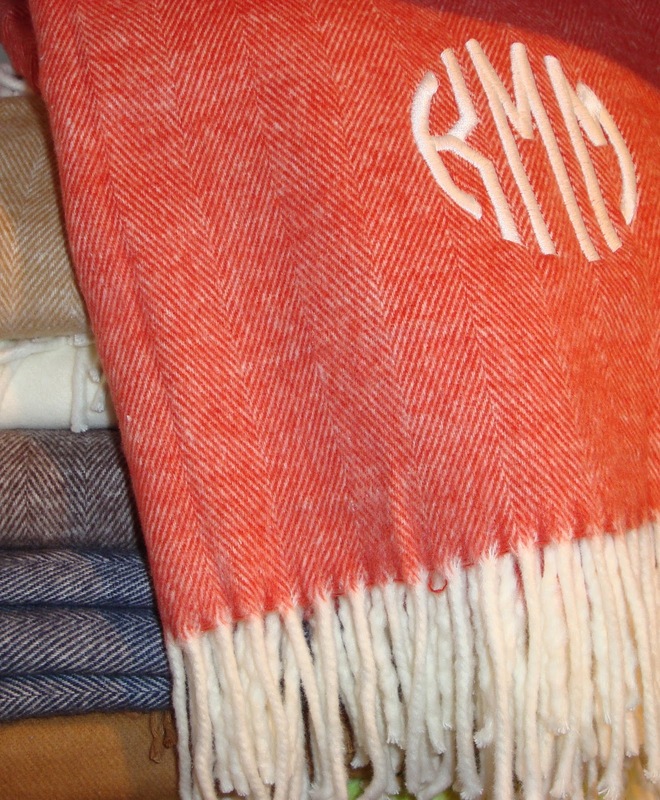 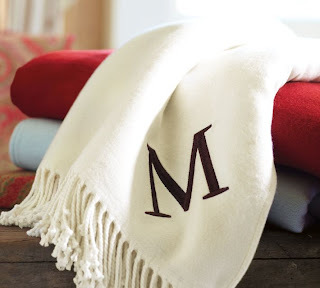 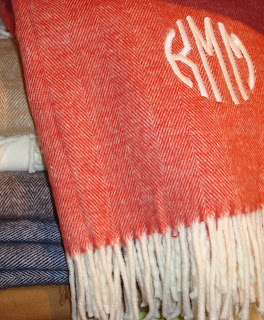 I like the personalized throws because they can be given to both men and women!